Please vote for your "Players of the Week" on offense, defense and special teams. Voting deadline is Thursday, 12:00pm. Quez Allen, QB, Paris, 192-yards rushing, 1-TD, 89-yards passing, 1-TD, L/Liberty-Eylau 48-21. Chan Amie, RB, Waskom, 11-carries for 139-yards, 2-TD's, W/Howe 71-21. Zane Boles, QB, Henderson, 21-carries for 110-yards, 3-TD's, 8-10 passing for 208-yards, 3-TD's, W/Jasper 60-43. Kris Boyd, RB, Gilmer, 89-yards rushing and 4-TD's (including game-winner with :09 left), 5-catches for 119-yards, 1-TD, W/Gladewater 41-35. Nicholas Cain, WR, John Tyler, 10-carries for 101-yards, 2-TD's, 2-catches for 79-yards, 1-TD, W/Rockwall Heath 49-21. Cobe Carraway, RB, Tenaha, 12-carries for 283-yards, 3-TD's rushing (75, 75, 82), W/Normangee 47-7. Jeremiah Crawford, QB, Mineola, 26-carries for 175-yards, 1-TD, 69-yards passing, 1-TD, W/Pilot Point 34-27. Trestan Ebner, WR, Henderson, 6-catches for 151-yards, 3-TD's, W/Jasper 60-43. Calum Foster, RB, Newton, 18-carries for 210-yards, 4-TD's, W/Franklin 49-21. Caelan Freeman, QB, Trinity School of Texas, 116-yards rushing, 4-TD's, 185-yards passing, 1-TD, W/Fort Worth Covenant 68-16. Ke'mon Freeman, QB, Liberty-Eylau, 116-yards rushing, 4-TD's, 185-yards passing, 1-TD, W/Paris 48-21. Donelle Hoof, RB, Liberty-Eylau, 21-carries for 120-yards, W/Paris 48-21. Junebug Johnson, RB, Waskom, 7-carries for 133-yards, 1-TD, W/Howe 71-21. Keenen Johnson, QB, Alto, 21-carries for 195-yards, 4-TD's, 5-9 passing for 134-yards, 1-TD, W/Union Grove 47-0. John Tyler Offensive Line (Kendal Holmes, Adrian Pulido, Kolby Harris, Dau'Quan Montgomery, Tedric Attaway, Adrian Harris), averaged 92% grade across the board, 34-knockdowns, 0-sacks, 499-yards total offense, W/Rockwall Heath 49-21. Geovari McCollister, QB, John Tyler, 13-20 passing for 269-yards, 3-TD's, W/Rockwall Heath 49-21. Chase Musgrove, QB, Atlanta, 4-8 passing for 176-yards, 2-TD's, 19-carries for 135-yards, 4-TD's, W/Tatum 55-21. L'Darius Pope, WR, Alto, 4-catches for 122-yards, 1-TD, W/Union Grove 47-0. James Reese, RB, Gladewater, 19-carries for 155-yards, 1-TD, L/Gilmer 41-35. Jyran Shaw, RB, Alto, 14-carries for 187-yards, 1-TD, W/Union Grove 47-0. Roney Elam, Newton, 11-Tackles, 1-CF, 1-FR, 1-FR returned 50-yards for a TD, W/Franklin 49-21. Tanner Holmes, LB, Newton, 17-Tackles, 6-TFL, W/Franklin 49-21. Eric Stephens III, Waskom, 70-yard FR for a TD, W/Howe 71-21. Jose Chavarria, K, Waskom, 9-9 XP's, W/Howe 71-21. Luis Duran, K/P, John Tyler, 7-7 XP's, 2-punts for 47.5-average (1 inside 20), 2-Touchbacks, W/Rockwall Heath 49-21. Morgan Brewer, RB, Franklin, 19-carries for 145-yards, 2-TD's, L/Newton 49-21. D'Marcus Cosby, RB, Mart, 15-carries for 253-yards, 1-TD, W/Tolar 52-14. Davion Curtis, WR, Temple, 6-catches for 178-yards, 2-TD's, W/Ridge Point 38-35. Ben Hicks, QB, Midway, 26-44 passing for 319-yards, 2-TD's, (3-Int's), L/Spring 46-45. Le'Vonte Owens, RB, Robinson, 313-yards rushing, 3-TD's, L/Burnet 38-35. Roshauud Paul, QB, Bremond, 11-14 passing for 163-yards, 4-TD's, 15-carries for 121-yards, W/Louise 47-6. Chad President, QB, Temple, 18-25 passing for 391-yards, 3-TD's, W/Ridge Point 38-35. Sicory Smith, WR, Cameron Yoe, 2-catches for 99-yards, 2-TD's, W/East Chambers 54-21. Traion Smith, RB, Cameron Yoe, 22-carries for 210-yards, 4-TD's, W/East Chambers 54-21. Riley Stone, QB, Blum, 9-10 passing for 185-yards, 3-TD's, 8-carries for 36-yards, 1-TD, W/Abbott 50-36. 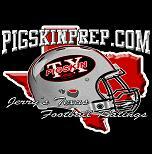 De'Nerian Thomas, QB, Mart, 23-carries for 113-yards, 3-TD's, 6-7 passing for 91-yards, 2-TD's, W/Tolar 52-14. Brandon Urbanovsky, RB, Abbott, 20-carries for 105-yards, 2-TD's, L/Blum 50-36. Joseph Ward, WR, Midway, 8-catches for 125-yards, 1-TD, L/Spring 46-45. Jaylon Barr, DE, Mart, 5-Tackles, W/Tolar 52-14. Duane Hyles, DB, Hico, stopped Crawford on 4th and 1 to seal the victory, W/Crawford 16-14. Collin Nail, LB, Mart, 14-Tackles, 3-QBP, W/Tolar 52-14. De'Nerian Thomas, DB, Mart, 9-Tackles, 1-CF, 1-FR, 1-Interception, W/Tolar 52-14. Micah Waples, DE, Mart, 2-Tackles, 1-Blocked Punt, 1-CF, W/Tolar 52-14. Cole Martin, K, Temple, 5-5 XP's, and 42-yard game-winning FG with :00-left, W/Ridge Point 38-35. Sicory Smith, Cameron Yoe, 75-yard KR for a TD, W/East Chambers 54-21.